The Vitocal 242-G is a compact brine/water heat pump unit with the option of connecting a solar system. 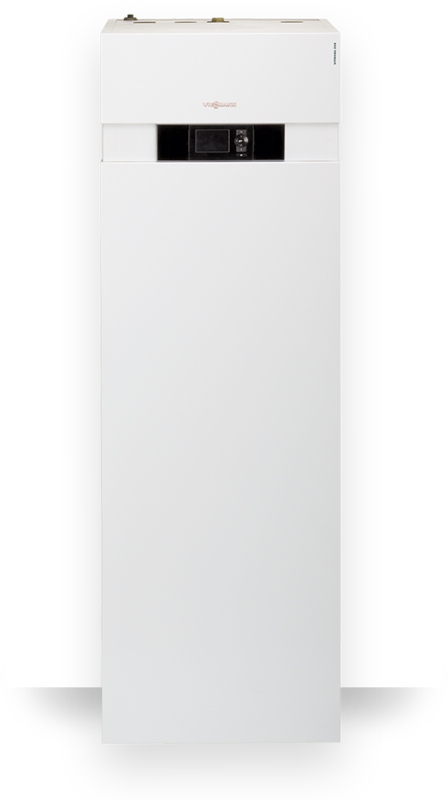 With a heating output of 5.9 to 10 kW and a cylinder capacity of 220 litres, it is ideal for use in detached houses. The Vitocal 242-G compact heat pump unit conveniently integrates all the components required for domestic space heating and DHW heating. The Vitocal 242-G is also prepared for solar operation. The EHPA seal of approval serves as proof of the COP (Coefficient of Performance) for funding under the market incentive programme. 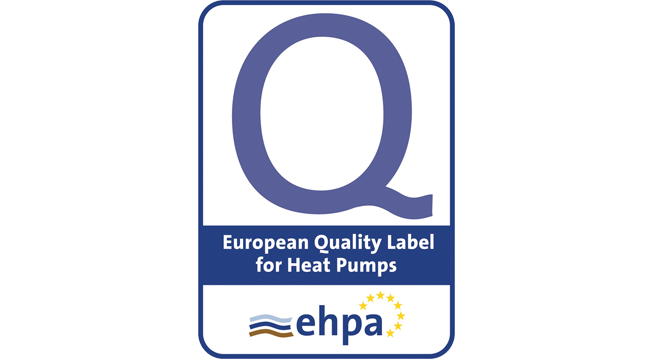 The German EHPA Quality Seal Commission certifies that the Viessmann Vitocal 242-G heat pump meets the requirements of the EHPA quality seal regulations. Clear, comfortable, intelligent: The Vitotronic offers perfect functions for fast and exact control of every heating system. 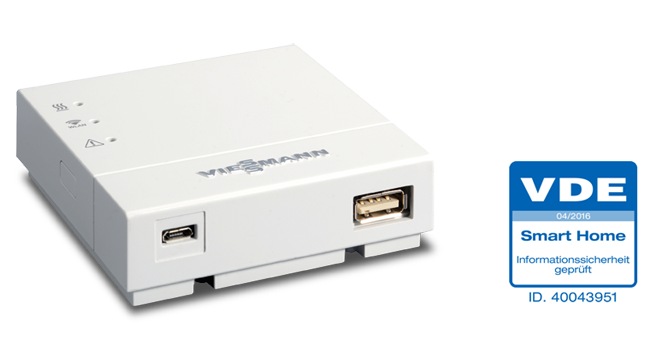 Vitotronic 200 Control - Can also be operated using an app via a smartphone at any time. The Vitoconnect 100 interface is required for operation via the app. Retrofitting earlier heat pumps of the Vitocal series (from year of construction 2010) is possible at any time. 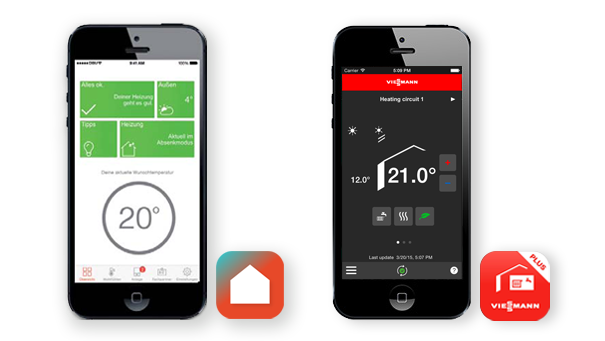 The ViCare app enables system users to control their heating system via smartphone. 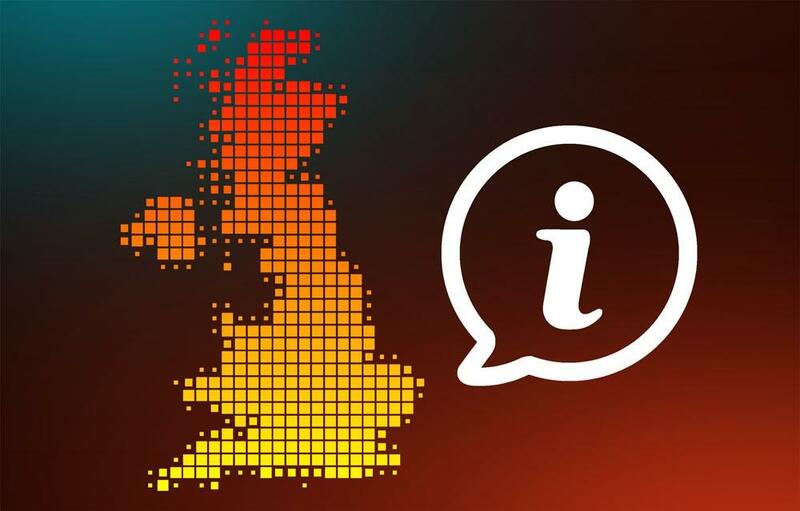 The operating status can be viewed at any time and the contractor whose details have been stored in the app can be contacted quickly and easily if a fault occurs. "The whole is greater than the sum of its parts". Following this philosophy, Viessmann supplies more than high quality, reliable and effective heating components. In fact, all products are part of a matching total concept, where all components complement one another. After all, only perfect interaction between all system components can draw out the maximum potential of our innovative leading technology. Viessmann system technology incorporates everything you need for a reliable and economical heating system: From the Vitotronic control unit with wireless remote control, powerful Vitocell DHW cylinders for the highest DHW convenience, right up to high grade solar thermal systems for cost effective central heating backup. 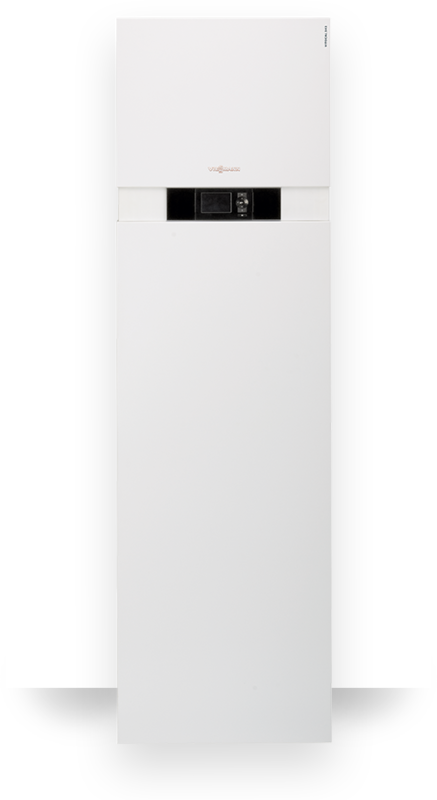 Complete and particularly space-saving, the Vitocal 242-G compact heat pump unit conveniently integrates all the components required for domestic space heating and DHW heating. With heating capacities between 6.1 and 10.0 kW, it is designed for use in detached houses. Flow temperatures up to 60°C also allow operation in conjunction with radiators. 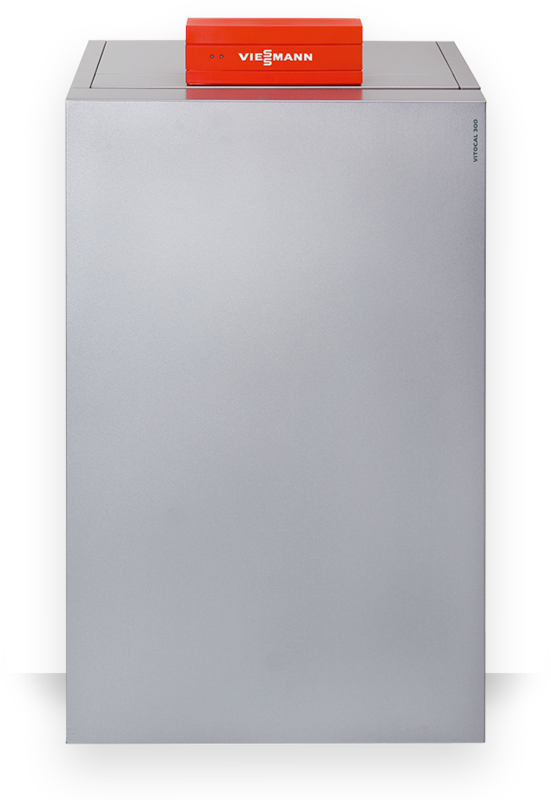 The Vitocal 242-G is the attractively priced alternative to the compact unit of the 300 series. With the Compliant scroll compressor and a thermostatically controlled expansion valve, it achieves performance figures of up to 4.5 (according to EN 14511 at brine 0°C/water 35°C). Newly integrated into the heat pumps are high-efficiency circulation pumps in the heating and brine circuit. The Vitocal 242-G is prepared for solar operation. Operation of the compact unit is particularly easy thanks to the Vitotronic control unit. With the Vitocal 242-G, connectivity to a solar system is comes ready prepared, with all the necessary hydraulic connections and control already integrated. A 220-litre solar storage tank and a solar control unit enable a high solar heat yield. The powerful collectors and coordinated system components from Viessmann support the heat pump - saving 50 to 60 percent of the annual average energy consumption for DHW heating. Like all compact units, the Vitocal 242-G has the extremely user-friendly Vitotronic control unit. In case of doubt, just press the help button. 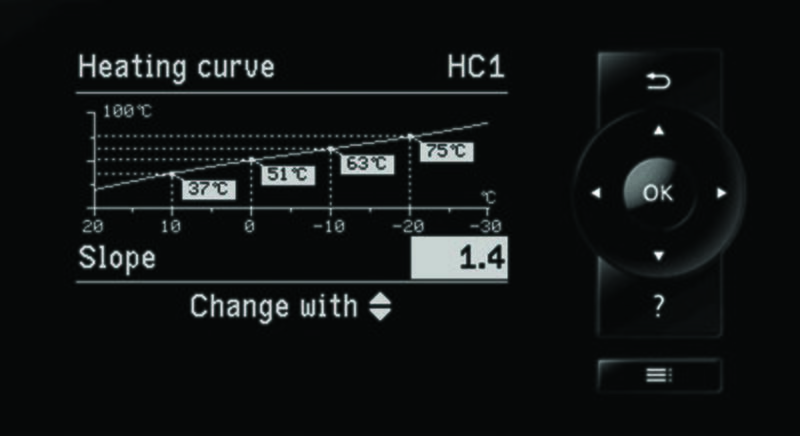 The graphical interface is also used to display heating characteristics and switching times. Thanks to the sound-optimised design, the compact heat pump units run particularly quietly and are also suitable for installation close to the living area. The compact heat pump units offer a pleasant climate in low-energy houses even in hot summers. With the "natural cooling" function, they deliver the coolness of the ground into the house. 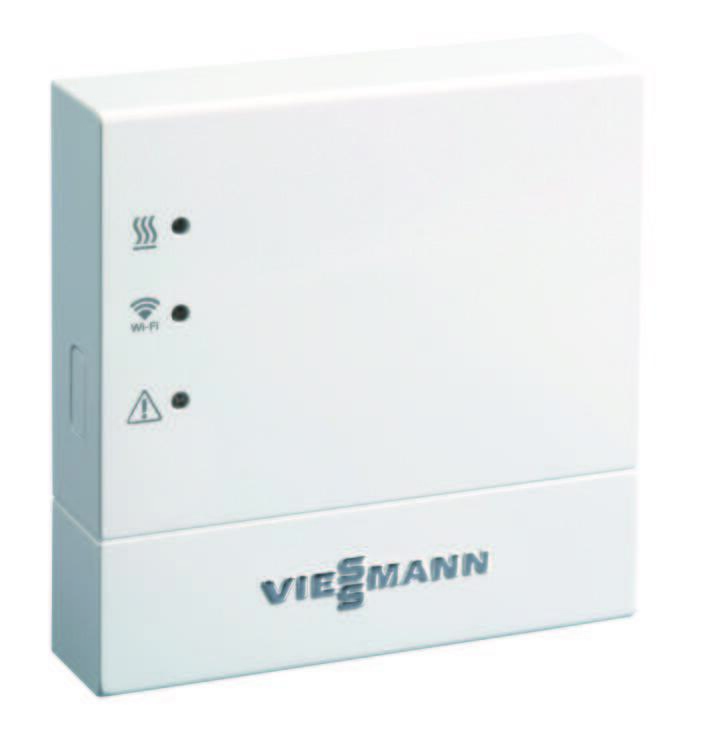 The Viessmann NC-Box is required as an accessory. Heat pumps utilise renewable energy from the ground, sun, groundwater or air. They lower consumption of fossil fuels, conserve valuable resources and reduce CO2 emissions that damage the environment. The Vitoconnect 100 is a WiFi interface to establishes the connection allowing you to remotely operate your heating system by app, as well as supporting remote maintenance via Vitoguide. With the new ViCare app, operating your heating system has become even easier and more intuitive. You can adjust heating times to suit your individual requirements using the integral wizard and see cost savings displayed instantly. Not the document you are looking for? Like what you see? Get a quote from a local installer. A maximum efficiency ground source heat pump for new build and modernisation projects in detached houses and apartment buildings, prepared for Smart Grid and utilisation of photovoltaic power generated on site. An attractively priced ground source heat pump for an uncomplicated heat supply and high level of DHW convenience in new builds. Efficient, quiet and easy to install, ideal for detached and semi-detached homes.